Torque Adaptor Set from Laser Tools. What do you do when a fastener is buried deep in the engine bay and it has to be tightened to a specific torque figure? Because of the difficult access and tight clearance, you cannot get a socket onto it. 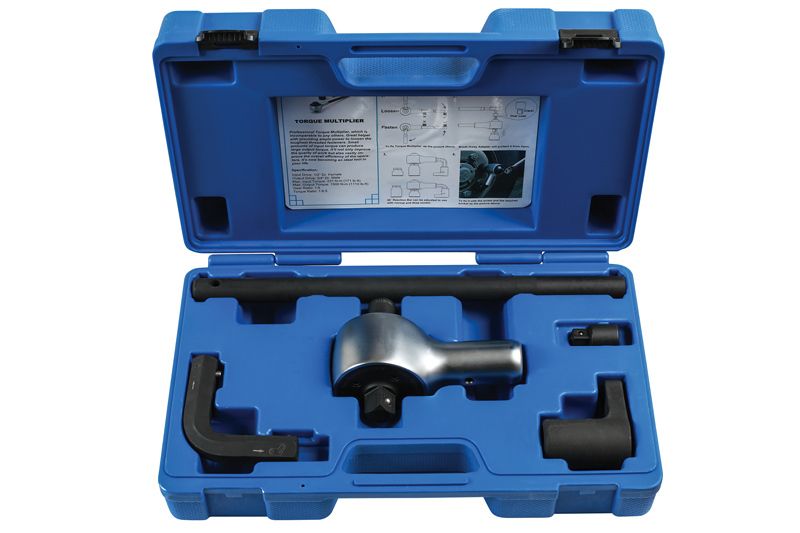 In this instance, according to Laser Tools, the solution is the Torque Adaptor Set (part number 7286), designed to let a torque wrench be used in the tightest of conditions. These metric adaptors are 3/8″ drive (sizes: 10, 11, 12, 13, 14, 15, 16, 17, 18 and 19mm), and turn the torque wrench into a super-slim ring spanner. They are high-quality items, CNC-machined from strong chrome vanadium steel, then fully polished and hard chrome plated. The product can be used in crowded engine bays or when torqueing difficult to access suspension components, and can also be used with a breaker bar when undoing tight or corroded fasteners.